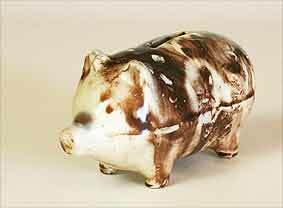 Piggybank - 4" (101 mm) long. This is a real moneybox with no hole in the bottom. A slide-the-pennies-out-on-a-knife job.